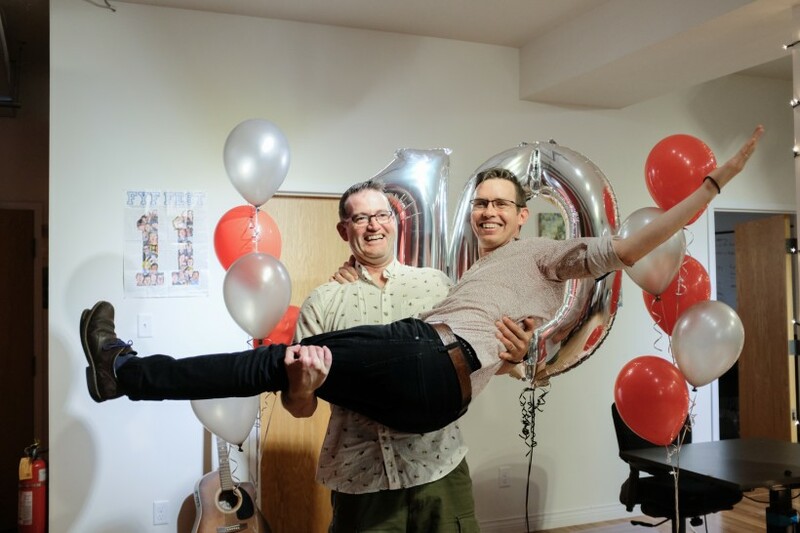 Darren Gallop, standing, and Co-Founder Morgan Currie celebrate Marcato's exit. As we look back on 2018, there were a few news stories that really shaped the regional innovation group for the year. I’ve written about accelerators outside the region and the role of McCain Foods already this week. But let’s close out the holiday period with a look at some the biggest news stories of 2018, and why they had such an impact. One caveat about this article: the buzz around the community suggests some of the strongest gains, in terms of big firms gaining clients and revenues, were achieved by companies that chose to avoid the media spotlight, like St. John’s-based Celtx and Verafin, and Halifax-based Dash Hudson. Introhive’s $20 million funding round. When the Washington, D.C.- and Fredericton-based relationship intelligence software company announced its equity and debt financing in June, it indicated it hopes one day to be the first Atlantic Canadian company to announce a $50 million venture capital round. The region needs those big rounds because they can generate huge economic impact and make it easier for other Atlantic Canadian tech companies to approach large investors. Island Capital Partners builds its portfolio. The P.E.I. investment group now has six companies in its portfolio – Onset Communications, Forestry.io, Garago, Island Water Technologies, Stash Energy and Bluefield Seeding Solutions. Its recent investments mean there is now a provincial funding group in each of the four Atlantic Provinces. Sona Nanotech’s listing. The Halifax life sciences company Sona Nanotech began trading on the Canadian Securities Exchange in October after raising $2 million through the sale of shares. As long as equity markets hold up, public listings by Atlantic Canadian innovation companies could become more common in coming years. Sequence Bio launches a pilot project in New Brunswick. St. John’s-based Sequence, which uses genomic data to improve drug discovery, announced the approval of the NB Genome Project Pilot in August. It’s another step in the company’s ambitions to build up and use genomic data banks. CarbonCure reaches the finals of the NRG COSIA Carbon XPRIZE Challenge. The Halifax company has a shot at winning a total of US$8 million in the next two years. More importantly, the XPRIZE would establish the company as a true global leader in using carbon as an industrial product. ILokol Gains 1500 clients in six months. Founded by Chinese students studying in Halifax, iLokol is an eCommerce platform for local businesses. The team, led by Xi Chen, have proven themselves tremendous entrepreneurs – getting out and selling so there were $650,000 of transactions on their platform in half a year. Panag Pharma sells out for up to $27 million. Panag had been quietly working away at a cannabis-based pain relief drug. Then Boom! Out of nowhere, amid the weed frenzy, it announced what appears to be the region’s largest exit in almost two years. It is adding momentum to drug research in the region. Marcato Digital’s purchase by Pittsburgh-based Patron Technology. The value of the deal is unknown but it’s another feather in the cap of the Sydney startup group. Founder Darren Gallop gained street cred from the deal, which will help as he grows his second venture, Securicy.